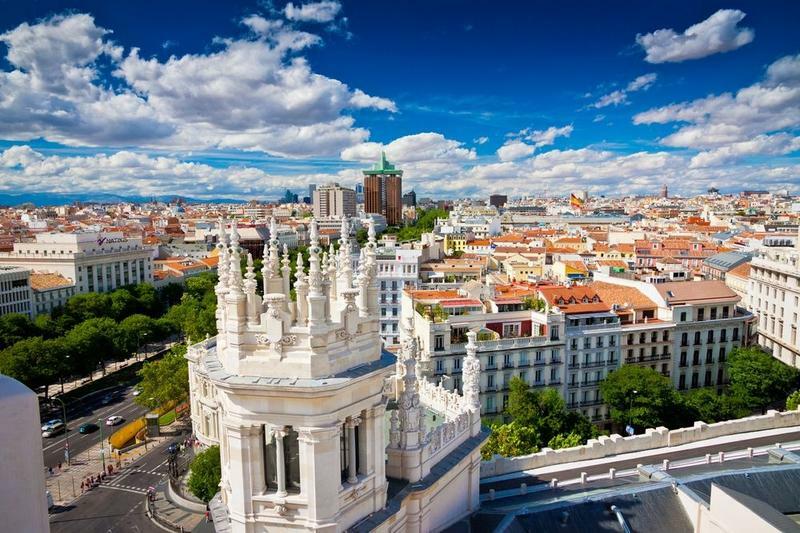 Madrid, the capital of Spain, placed in the center of the country is the gorgeous historical city, full of sophisticated boulevards and buildings. Madrid has a lot of to offer, from grand architecture and peaceful parks to unforgettable and mesmerizing art and history. If you find yourself in Europe one day or if you plan to visit Madrid, these are locations that you must see in the beautiful Madrid. The Plaza Major was laid when Philip II’s court moved to Madrid, where the city’s most famous market was placed at the end of the 15th century. In 1617, Juan Gomez de Mora had to create greater uniformity among the buildings, narrow alley and streets. Nevertheless, Juan de Villanueva is known for giving the glorious reconstruction to the Plaza Major in 1790. The Museo Del Prado is known as the main Spanish national art museum. Here you can find the finest collection of European art, from the early 12th century until 20th century. Founded in 1819 as a museum of sculptures and paintings, the Prado Museum is known as one of the greatest museums of art in the world. So if a history of art is something you can’t simply resist to, then Prado Museum in Madrid is the place to be. The gorgeous 350 acres park at the edge of Madrid is a perfect location to relax and rest after exploring the city. Park with a peaceful lake is filled with monuments, galleries, sculptures and it hosts a verity of events in Madrid. The park was created as a retreat for the royal family at the time of Isabella I. King Philip gave a task to architect Juan Bautista de Toledo to enlarge the parks’ architecture and avenues. The palace with 3,418 rooms is located on the site of a 9th-century Alcazar. The official residence of the Royal Family at the city of Madrid is only used for state ceremonies. So, you probably won’t run into the King Felipe VI and the Spanish Royal Family in the hallways of the Royal Palace of Madrid, but it’s the must see destination in Madrid.